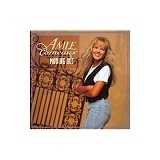 Amie Noelle Comeaux (December 4, 1976 in Brusly, Louisiana – December 21, 1997 in Lacombe, Louisiana) was an American country music singer who gained fame in her teens. Her debut album, Moving Out, was released on Polydor Records in 1994, and it produced the single "Who's She to You", a #64 on the Billboard country charts. Two posthumous albums, A Very Special Angel and Memories Left Behind, were issued in 1998 and 2007, respectively. Comeaux first began singing as a child. When she was nine years old, she sang the Star-Spangled Banner at a New Orleans Saints game in the Louisiana Superdome, and continued to do so throughout her teenage years. Amie was also chosen to play the lead role in Annie at the Baton Rouge Little Theater.